100% cotton Gildan tee. 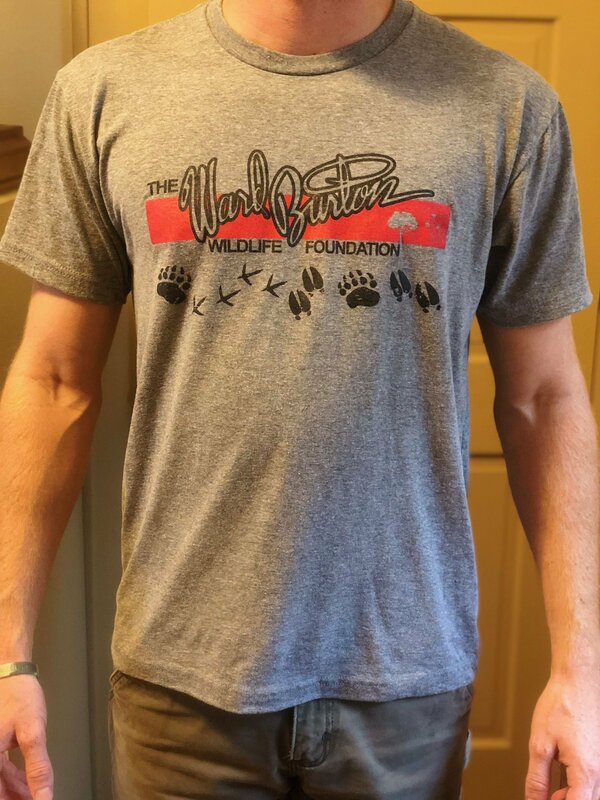 The Ward Burton Wildlife Foundation Logo with red accent on front, wildlife footprints beneath the logo. Plain back.